How can Slippy Toad be slippy if uncle Grippy Toad is grippy? Amateur scientist Brett Makedonski was wondering aloud in the Destructoid chat earlier today, "what went wrong in the Star Fox frog family tree to cause the uncle to be so grippy and all the tread to have worn off by the time his nephew was born." Uncle Grippy Toad is presumably bumpy, sticky, or otherwise friction-y, allowing him to grip things well. On the other hand, nephew Slippy Toad is smooth, slick, and unable to hang onto a sheer glass surface. It's not all that hard to imagine. In fact, it's just a natural effect of sexual reproduction; offspring get half their genes from each parent, so seeming anomalies can be easily explained. 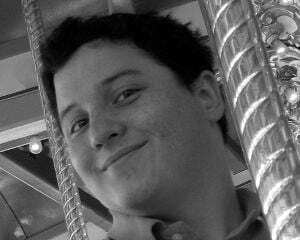 I should know; I'm a half-Japanese guy with curly hair and freckles. One such explanation of Grippy's grippiness/Slippy's slippiness can be found in the following diagram. 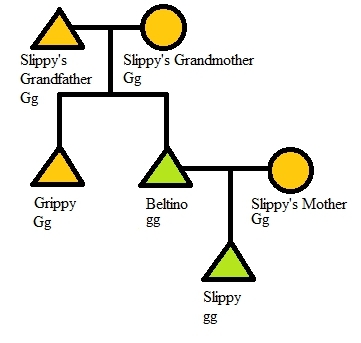 In the example above, grippiness is assumed to be a dominant gene, represented by capital G, while slippiness is assumed to be recessive, represented by lower case g. Those who exhibit the grippiness phenotype are colored orange and those who exhibit the slippiness phenotype are colored green. What's remarkable in the above example is that Slippy's father/Grippy's brother Beltino Toad can exhibit the slippy phenotype, even though both parents exhibited the grippy phenotype. Then he has a 50% chance of creating offspring with Slippy's mother who exhibit the same slippy phenotype. It might not be safe to assume grippiness is the dominant gene, but a similar scheme can be produced in the other case that still explains the divergence in traits. The point is, no funny business had to go on, and there's no reason to believe Grippy Toad and Slippy Toad are not biologically related. Science cannot explain why a family of frogs would be named Toad.